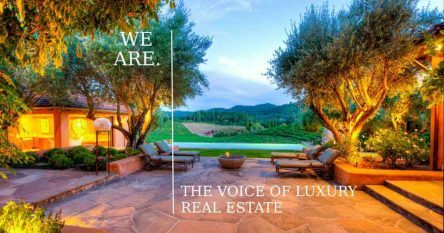 My new Calistoga property listing, Sophisticated Elegance in Calistoga, is an incredibly beautiful 24+/- acre estate, located in the western hills of Calistoga, Napa Valley’s new playground for the rich and famous. This quaint town is just minutes away from Saint Helena, known as “Napa Valley’s Main Street” with a thriving wine country centerpiece of tourism, fabulous restaurants and small town charm. The town of Calistoga itself has long been known for its luxurious resorts, spas and mud baths. This property is unlike any other others you will see in Napa Valley. 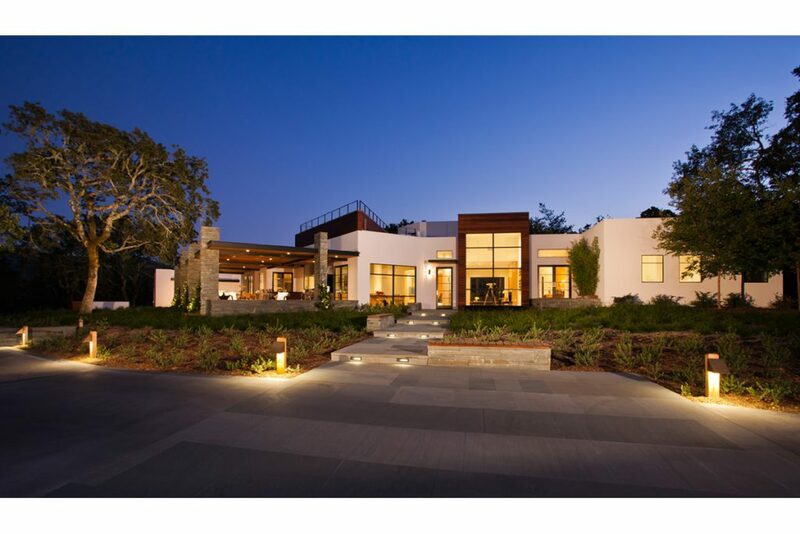 My new listing, Sophisticated Elegance in Calistoga, was remodeled in 2010 by San Francisco Designer Eugene Anthony who created a modern masterpiece designed for those who love to entertain and live in luxury. When I take you on a tour of this magnificent property, you will be immediately awestruck by the luxurious new front and back loggias, totaling approximately 1,700 square feet. It is truly an entertainer’s dream, with large grills on both loggias, a fireplace, a pizza oven and overhead heating. The front loggia and rooftop terrace have uninterrupted views of Mt. St. Helena and the majestic palisades that will take your breath away, particularly at sunset and under a full moon. You will feel as though you are visiting your own private resort when you enter the back loggia and pool area, with extensive artful outdoor lighting, adding a bit of magic to the lovely evenings we have here in Napa Valley. Think uncompromising luxury and elegance in a country setting. The estate sits on a knoll approximately 300 feet above the valley floor. Hidden behind security gates, it offers a sense of peace in the property’s exquisite beauty. The main home beckons the elite with an artistic sensibility, providing comfort, privacy, exceptional quality and attention to detail throughout. The simple but elegant interiors are a testament to uncompromised luxury and sophistication with clean lines decorated in a warm and inviting palette. The main home features an open floor plan with 2 bedrooms on the main level and 1 bedroom upstairs, four full and one half baths, an office, family room and an attached artist’s studio/gym. The “control 4 smart-house” system controls the audiovisual entertainment and climate. The property includes a one bedroom guest house, a pond, swimming pool and spa and exquisite landscaping (complete with fruit trees and a vegetable garden), designed by Blasen Landscape Architects. Zoned Ag Watershed means the new homeowners will be allowed to add an additional 1,200 square foot caretaker’s cottage. And if you’re interested in having your own vineyard, there are preliminary vineyard layout drawings and a Vineyard Feasibility Soil Study on file. 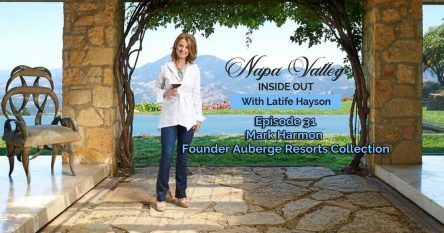 In an earlier blog, “Calistoga Offers Health and a Wealth of Reasons to Love it,” I uncovered the many reasons that Calistoga is becoming one of Napa Valley’s most desirable playgrounds for the rich and famous, tourists and second homeowners from the Bay Area and around the country. 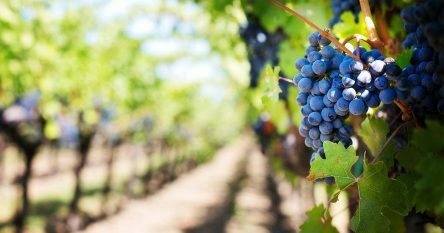 In addition to destination wineries such as Castello di Amorosa, and Chateau Montelena and Auberge Resorts Calistoga Ranch and Solage, there are two new developments in the works that have been recently approved: The Silver Rose Inn and winery (opposite Solage) will be replaced with an 84-room luxury hotel and spa, a restaurant, a 10,000-case winery, a 6-acre vineyard and 21 freestanding homes and managed by Four Season’s. And more plans are in the works for a Rosewood resort that will be nestled in 88-wooded acres on a hillside on the west side of town. Of course the property will feature a world-class spa experience and dining.